Gotham fans have all the reasons to rejoice as Gotham villains have just invaded Manila once again as WarnerTV and GrabTaxi bring back its second round of the Gotham Villain Hunt – the Penguin Craze. From January 15 to February 15, GrabCar’s fleet will be turned into a temporary home for hundreds of limited edition plush penguins, as well as other exclusive Gotham merchandise from WarnerTV. 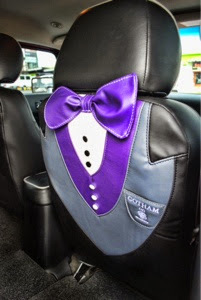 #GothamonWTV and #GrabTaxiPH and take it home! More details about the Penguin Craze will become available on WarnerTV Asia’s Facebook page at www.facebook.com/WarnerTVAsia.